2.Star~Link Star~Link head office software offers tremendous efficiency and flexibility to retail chains of any size. Team up with Star~Plus to maintain consistency throughout your chain, provide support to your stores, and communicate all in one step. Star~Link head office software offers tremendous efficiency and flexibility to retail chains of any size. 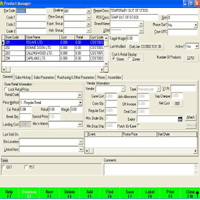 Star~Link head office software offers tremendous efficiency and flexibility to retail chains of any size. Team up with Star~Plus to maintain consistency throughout your chain, provide support to your stores, and communicate all in one step.